As people tackle their holiday shopping lists, companies are competing for their dollars. The Millennial founders of three companies, Away, Glossier and Harry's, shared their tips for keeping their brands relevant during the holiday season. Glossier was founded by Emily Weiss and has developed a cult following. The beauty and skincare brand is especially popular on social media. 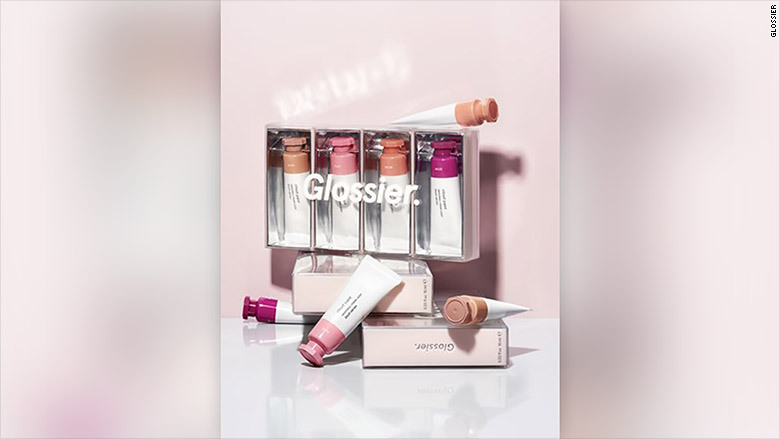 Weiss told CNNMoney that Glossier is choosy when it launches a new product. That's probably what's made the brand so popular: The inventory is affordable and selective, and the company stresses that it wants to simplify customers' beauty routines. To cater to holiday shoppers, Glossier is sticking to its principles. Instead of introducing lots of products, its main approach for the holidays is to combine fan favorites. Glossier is debuting a makeup set with four of its bestselling blushes. Glossier's Cloud Paint Quad combines several of its popular gel-cream blushes. Like other companies, it's also offering a sale -- 20% sitewide and free shipping from Thanksgiving through Cyber Monday. 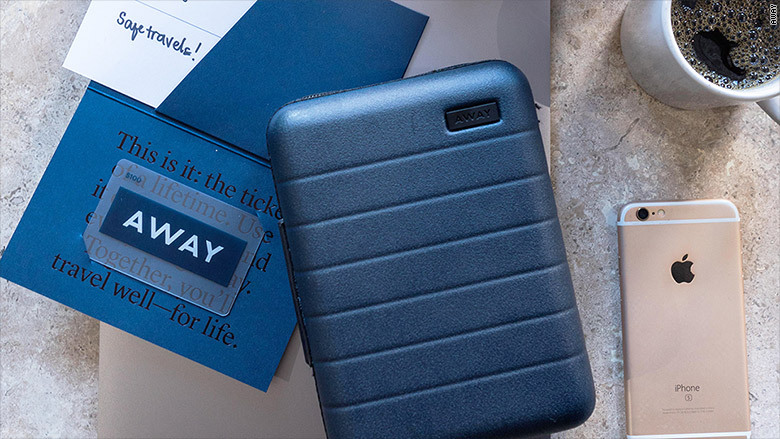 Away, a travel and lifestyle brand, was founded by Jen Rubio and Stephanie Korey. Their main product is a suitcase with a built-in battery pack so travelers can charge their devices on the go. While the founders decided to roll out a product for the holidays, it's actually just a miniature version of their staple item. The mini suitcase for toiletries and other in-flight necessities. The "mini suitcase" is a toiletry case with the brand's signature hard shell. It comes alone or as part of five themed gift sets. Away is also using the holiday season to respond to customer feedback. They recently launched two limited colors, pool and frost. "Our customers have been asking for shades of blue, and we took inspiration from those who would be getting away to somewhere warm or somewhere cold," Korey said. They say their suitcases are a popular gift but don't plan to offer any special holiday promotions. That's typical of niche and luxury brands, according to Jared Schrieber, the CEO and co-founder of InfoScout, which tracks consumer spending. "Mission and luxury brands are hesitant to diminish the perceived value and image of their brands. They want to be seen as premium," he told CNNMoney. "For smaller businesses it's very expensive and risky to offer the steep discounts we typically see. Black Friday is all about mass appeal and a lot of these companies aren't that big." Harry's, a men's grooming company, was founded by Andy Katz-Mayfield and Jeff Raider to make buying razors easier and more affordable. They're taking time to be with their families. Raider said he's "really excited to spend some down time with my family and see the excitement and joy on our kids' faces when they open presents and get those things 'they've always wanted.'" Katz-Mayfield said his daughter "celebrated her first holiday last year," and the two of them picked out a tree together. He plans to turn picking a tree and an ornament into a father-daughter tradition. Both told CNNMoney that spending time away from the office helps them relax and refresh, which makes them more productive at their jobs. Harry's won't offer special sales but will sell gift sets, which bundle items at a small discount. It's also debuting two limited-edition razors that come in wintry blue colors.